Kennedy on BBC’s The One Show! 15minutes into the show, Kennedy talks about the release of his new album Shhh! and the inspirations behind Nigel Kennedy’s Polish Weekend on 29-31 May at Southbank Centre. He also gives a taster of him playing on his electic violin! Nigel Kennedy discusses his forthcoming Polish Weekend at Southbank Centre, which sees the violinist transform Southbank Centre into a mini Poland and perform a live soundtrack to the backdrop of the notorious 1973 qualifying match between England and Poland. Kennedy also discusses his new album Shhh! 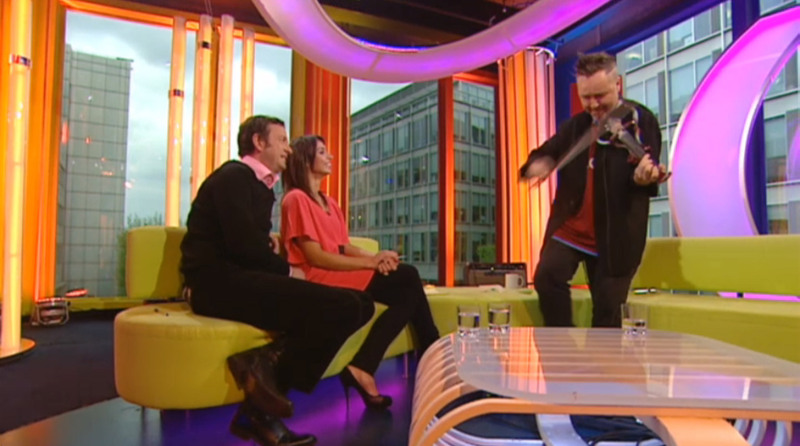 with the Nigel Kennedy Quintet, also performing as part of Nigel Kennedy’s Polish Weekend on 29-31 May.